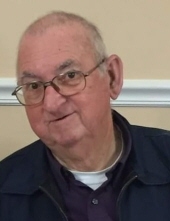 Celebrating the life of Thomas Gordon Peurifoy, Sr.
Obituary for Thomas Gordon Peurifoy, Sr.
Seneca – Thomas Gordon Peurifoy, Sr., 76, husband of Opal Tolbert Peurifoy, of 125 Indian Oaks Road, passed away, January 20, 2019, at Lila Doyle. Born in Miami, FL, he was the son of the late Lawrence Kentrel Peurifoy and Dixie Andrews Peurifoy. Thomas was a member of Unity and Love Praise and Worship Center and was the former Pastor at Northside Baptist Church. He was a clerk for Greyhound and was a veteran of the United States Army and a member of the Florida National Guard. Mr. Peurifoy is survived by his wife, Opal Peurifoy; son, Thomas Gordon Peurifoy, Jr. (Donna) of Nicholasville, KY; daughter, Pam Sadler (Barry) of Easley; brothers, Richard Peurifoy of Atlanta, GA,; adopted son, George Cobb of Walhalla, SC; adopted daughter, Marcia Collins; sisters, Carolyn Scheirer of Ocala, FL, Sharon Peurifoy of Debray, FL, Patti Kuntz of Fort Wayne, IN; three grandchildren, Joseph Aaron Peurifoy, Magdalyn Sadler, and Isabella Sadler; great-grandchild, Cambria Spearman; step grandchildren, Jessica Nally, Lynn Keyland, Heather Cornejo, Jonathan Brown; and twelve additional great-grandchildren. A Celebration of Life service will be held at 10:30 am, Saturday, January 26, 2019 at Hopewell United Methodist Church, 750 Methodist Drive, Westminster, SC 29693. The family is at the residence. Memorials may be made in Mr. Peurifoy, Sr.’s memory to the charity of one’s choice. Condolences may be expressed online by visiting www.sandiferfuneralhome.com. To send flowers or a remembrance gift to the family of Thomas Gordon Peurifoy, Sr., please visit our Tribute Store. "Email Address" would like to share the life celebration of Thomas Gordon Peurifoy, Sr.. Click on the "link" to go to share a favorite memory or leave a condolence message for the family.